Marva is a former member of the Chaines de Rotisseurs (the French food and wine society) and Baille. She is an avid world traveler with an affinity for Michelin-rated restaurants and five-star hotel accommodations. Her love of luxury translates into a love of recreating these extraordinary experiences for clients from all around the world. 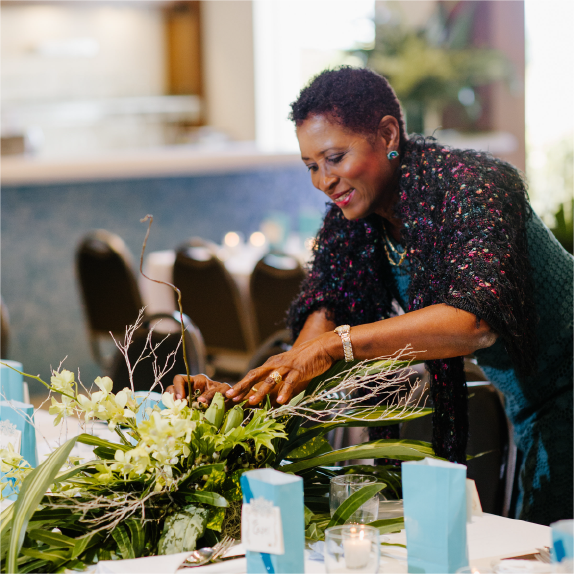 Some of those clients include prestigious groups like the Grand Bahamas Island Tourism Board, as well as wedding planning-in-residence services at Pelican Bay on Grand Bahama Island. She also holds the Bahamas Ministry of Tourism Cacique Award. Marva has worked throughout the Bahamas including the Out Islands such as Eleuthera, Spanish Wells, Exuma, Abaco and Andros, among other countries like Jamaica and beautiful Turks and Caicos. 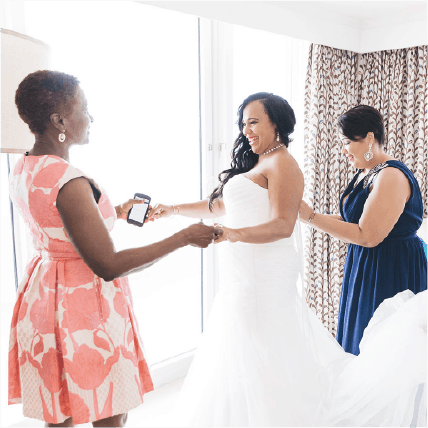 Marva’s company, Chic Bahamas Weddings and Events is a multi-year winner of WeddingWire’s Couples’ Choice Award, is a “Best of Weddings” pick by The Knot, and a WeddingLovely Certified Lovely Vendor, among other accolades. Yet no award can articulate what Marva’s clients love most about working with her. 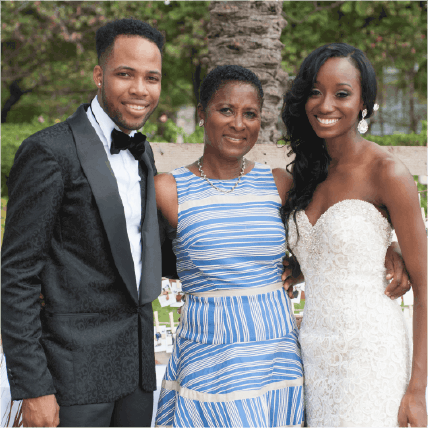 It’s her calm spirit, impeccable attention to detail, dedicated work ethic and accessibility that make her the go-to destination wedding planner in the Caribbean. She prides herself on communication, trust and creating extraordinary, custom celebrations for each one of her clients. She is best known for creating wedding experiences that are truly one-of-a-kind. Just ask her about the time she was able to secure last-minute immigration permits for a groom’s rock band to play at the wedding! Let us design and plan your dream destination wedding!